Have you ever thought about applying your nursing skills in a flying setting? Are you not afraid of heights and bumpy rides in a helicopter? If your answer to these questions is positive and you wish a little bit more excitement while performing your nursing skills, then a flight nursing career could be the right choice for you. This is a lucrative occupation with many ways to advance your career along the way. If you ever though what is a flight nurse and you want to know more about this career path, you have come to the right spot. Flights nurses can also be called aero-medical nurses. It is a registered nurse responsible for providing critical medical care to patients during air transfer between hospitals or various rescue missions and emergency operations. These operations are usually done with helicopters, but you might end up on board other types of aircraft like propeller airplanes, jets, or even seaplanes. Helicopters are usually the best mode of transportation because they smaller, can almost in many places, and carry a lot people and medical equipment. These things are very useful in emergencies. Jets and airplanes do not carry the same versatility as helicopters. Hence, why they are used now for more non-emergency jobs. They are used more for transporting sick patients from one healthcare facility to another or helpiing ill patients travel in general. A flight nurse works as a part of integrated aero-medical crew and is often accompanied by doctors and/or paramedics, but in some situations is solely responsible for the patient’s care. Flight nurses are often used during emergency or rescue missions when ground vehicles cannot reach the scene at or transport themselves or patient to and back from the scene quickly enough. Weather and natural disasters can also dictate what type of response crew is used. If there is an earthquake or roads are covered with ice. This would make an ambulance truck not an ideal vehicle to transport a patient. Hence, a aero-medical crew is needed. This can also be true in area where the terrain is not ideal for a ground vehicle. Terrains that contain too many hills, mountains, trees, and traffic congestion might need the assistance of an aero-medical crew in the case of an emergency. 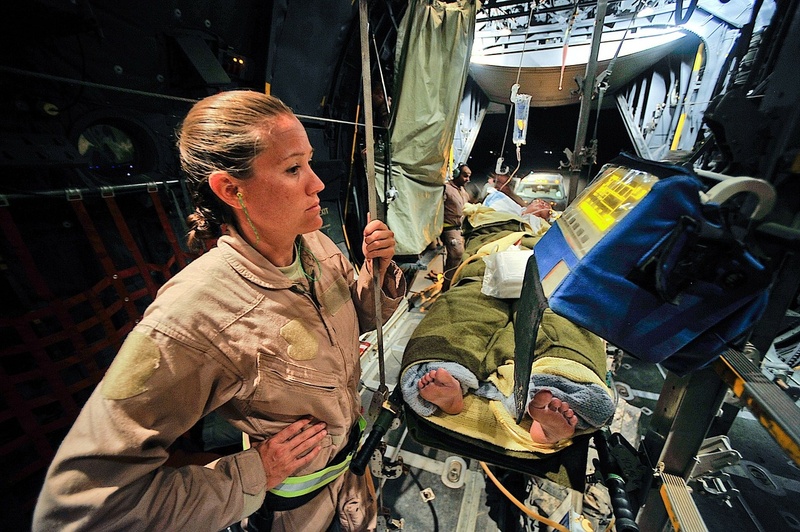 Besides in-flight nursing care and management of critically injured or ill patients, these nurses assist in preparation and planning for missions requiring aero-medical evacuation. These nurses are responsible for managing and facilitating proper patient care. 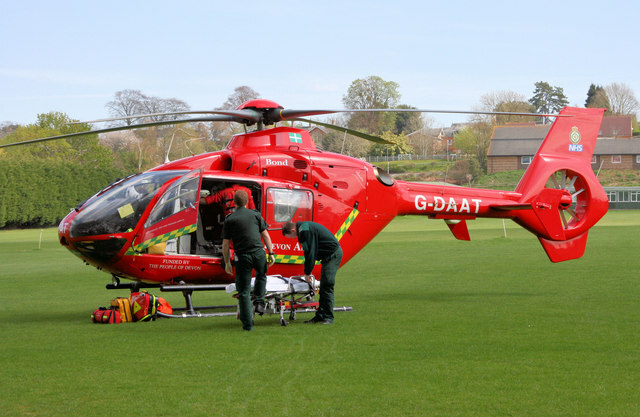 They provide a as comfortable of a transport as possible while ensuring the safety for the patient. During the transport, the flight nurse will evaluate the vital signs and individual needs of the patient. These individual medical care tasks of these nurses include blood transfusions and all other actions required in the case of traumatic events, like monitoring vital signs, administration of oral and intravenous medications, dress wounds and many other. Additional responsibility of these nurses is to evaluate whether the patient needs treatment appropriate to his or her condition before the whole intervention reaches the health facility. Administering medication to help with pain the patient might be suffering from. Keeping patients safe during the flights. Treating and dressing wounds, stitching up injuries. Blood transfusion to replace blood. Carrying out treatment in small and hectic atmospheres. Acts as intermediary piece of communication between the flight crew and areo-medical crew. Using medical machinery, equipment, and technology. Like blood transfusion devices, life support equipment, and oxygen tanks. Teamwork is crucial during the patient treatment, so the crew members have to be able to communicate effectively during the mission, in order to ensure the patient’s safety. Flight nurses usually work one to three 24-hour shifts a week and work 6 to 10 shifts a month. However, they are usually on call 24 hours a day and 7 days a week. That is the nature of the job. Flight nurses to be fully responsive and alert during all portions of the shift. This is because an emergency can happen at any time. The healthcare facility or hospital usually determines the flight nurses’s schedule for them a couple weeks in advance. Flight nurses might have to work 24-hour shifts but keep in mind that these nurses are not on emergency every second of those shifts. They might have a lot of down time when doing aero-medical work. Their day usually starts with shift briefing. This includes going over weather conditions, traffic conditions, best route through the city, aircraft maintenance issues, problems that have arose on previous shifts, possible safety issues, etc. Then the aero-medical nurse inspects the aircraft to ensure that all the medications are aboard, full, and ready to go. Also that all the equipment is charged, not tampered with, and easily accessible. After the aero-medical nurse ensures that everything is place, the flight nurses follow up with the doctors they have worked with and patients they have transported over past couple shifts. They check on the patient’s status and ensure everything is okay. Doctors and the nurses will go over what happened during their last shift shift and go over any lessons and takeaways that they can learn from to do their jobs better. In their downtime, the nurses spend a lot of time training and learning new information that could help them on the job. Nothing teaches them as well as experience but they do their best to prepare for tough scenarios when they have the chance. They remain ready for an emergency at all times though. All flight nurses are registered nurses. These went to school at their local university and earned a bachelor’s of science in nursing. Then they pass their nursing licensing exam and work for three to five years in a critical care environment. We go more depth on this below. Flight nursing is a type of nursing specialty which requires an advanced set of skills. If a registered nurse would like to qualify for this position, then she or he should already be experienced in trauma or intensive care. Trauma care is the most essential skill required since these nurses often need to take care of the life threatened patients while transporting them via aircraft to a nearby health facility. It is important for a future flight nursing professional to have in-depth knowledge of different medical fields, like vasoactive medication, mechanical ventilation, as well as other medical techniques required. Future nurses in this field should be well introduced to flight regulations and other required safety practices. This career path could be both rewarding and challenging. Without the proper training, crew members could be hurt on duty, so it is important to dedicate completely to this job and extensive training directed at the safety of both medical staff and patients. This exciting profession also requires the knowledge of natural disasters and actions taken if such disasters occur. For example, saving people injured in floods or hurricanes, as well as those trapped in the buildings during the earthquakes seeks additional skills of maneuvering and ingenuity. If you want to become a flight nurse, it is essential to acquire a primary position as a registered nurse and have several years of nursing experience, especially in intensive care and trauma field. Certified flight nurses are in high demand right now, but the requirements are strict as well. As stated earlier, most of the jobs require a Bachelors of Science in Nursing degree and a minimum of 3 years of experience, even though 5 years is recommended. You want your experience to come through the intensive care unit (ICU) or the emergency room (ER). 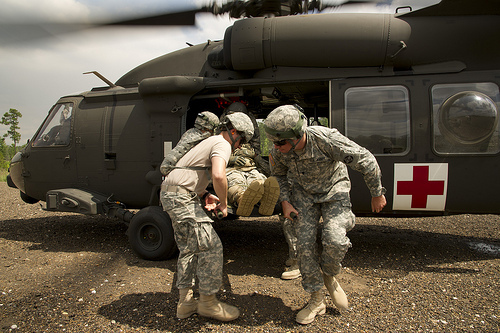 Jobs in these settings build the critical care skills that are essential to be a flight nurse. Excellent decision-making skills are a must, an applicant for this job may participate in the series of various physiological tests, ensuring that a tested individual is the proper one for the position and task performance. Postgraduate training is also recommended, this includes training as an intensive care or emergency medical nurse with further required education in the fields of vasoactive medications, mechanical ventilation, hemodynamic support and much more.The more education, the better chance you have of landing a flight nursing job and performing better on the job. There are a couple of certifications these nurses typically hold, such as Critical Care Registered Nurse (CCRN), Certified Flight Registered Nurse (CFRN) and Certified Emergency Nurse (CEN). Because of its extreme position, a certified flight nurse earns more money than the average median salary, compared to other nursing calls. This is mainly because they work in extreme conditions and also deal with the trauma and intensive care patients. Therefore, it is no wonder that these nurses have a higher salary than nurses working on hospital grounds. The average salary in the United States for this type of nurses is about $65 000 – $ 80 000 per year. The salary differs from one state to another, depending on the demand of the nurses and conditions which they are working under. Economic conditions play a factor as well. However, more companies are hiring nurses now than ever before. It also matters where you work. Private companies and individuals usually pay more and provide more benefits than public companies. However, private company are here to come by. The difference in pay can be astounding at times. Flight nurses can sometimes make up to 20% more working working the same job at a private company than a public company. This dramatic difference is best shown in the comparison between salary in Kansas, Missouri where it is about $69 000 per year and the one in New York, New York where it belongs in the range of $80 000. There are two distinctive types of nurses which work in the aerial health support, civilian and military flight nurses. The both professions have the same obligations, but work in two different sectors and settings. Civilian and military nurses do the same thing. They transport patients via aircraft to the nearest healthcare facility and try to provide medical care to them on the way. Civilian flight nurses work for different health agencies, mostly as flight transport nurses for local, state and federal governments, hospitals, fire departments, private medical companies and other similar agencies. These nurses study at their local universities to earn their bachelor’s of science in nursing. They pass their nurse licensing exam. Civilian flight nurses usually spend to 3 to 5 years working in the intensive care unit or the emergency room while obtaining different certification necessary to advance their career. Then they obtain an occupation as an areo-medical nurse. As for the military flight nurses, these health professionals are the part of aero-medical evacuation crews, functioning as a medical member. They provide nursing care for military patients, fulfilling the main objectives of comfort, care and safety of the patients. These nurses also work on the preparing of special evacuation tasks, as well as the organization and scheduling of evacuations. They sometimes work in hostile environments where they are responsible to removing patients and transporting them to get medical care. They usually transport them to the nearest base where the patient can get treatment. These nurses also perform follow up and check in on the patients they have transported in earlier shifts. Their goal is get the soldiers to recover and help operate at peak condition when they back on to the battlefield. Also help them deal with any mental issues they meant be suffering from. Flight nurses take of these things and report it the necessary people in order to ensure the safety of the soldier and those he or she may work with. If you have found yourself while reading the flight nursing job description, or you enjoyed exploring what is a flight nurse, then this is a right call for you. This career path will surely open a new possibilities for you and bring you an additional education. This is a job for dedicated people, for those who want to bring the care of the patients to a much higher and profound level.